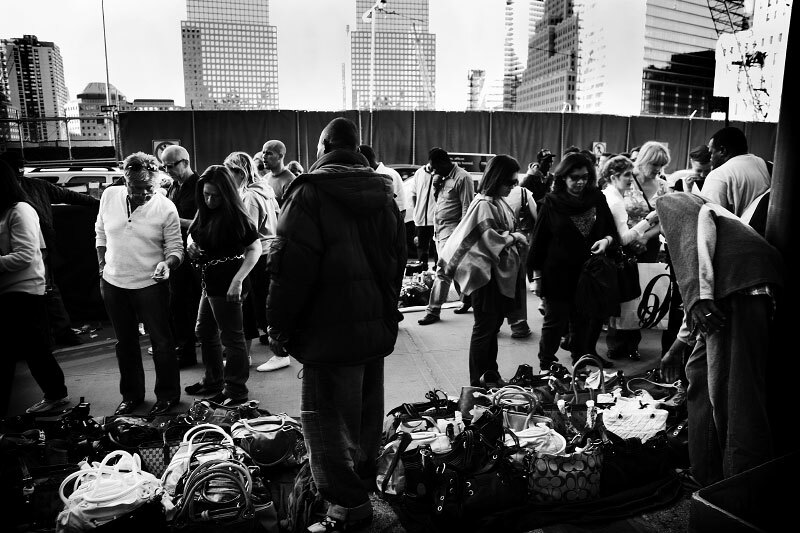 Vendors sell counterfeits of brand bags, such as of Gucci, Louis Vuitton , Prada, Hermes, etc, in front of the former World Trader center site. Their business seems ok at the moment, while big corporations, especially financial industry, suffer due to the economic crisis. Yet at the same time, nobody knows how deep and how far the current crisis will expand. New York, Oct 11 2008.